*Just* The Makeup Ideas You Need For The PERFECT Desi Look! A fusion of gorgeous makeup looks tastefully paired with elegant Indian outfits is bound to fetch you a bag of compliments. To ace the desi look, take cue from our Plixxo bloggers as they show you how master the art of wearing makeup with your favourite traditional outfits in the most stylish way possible! Are you ready to make those heads turn, girls? 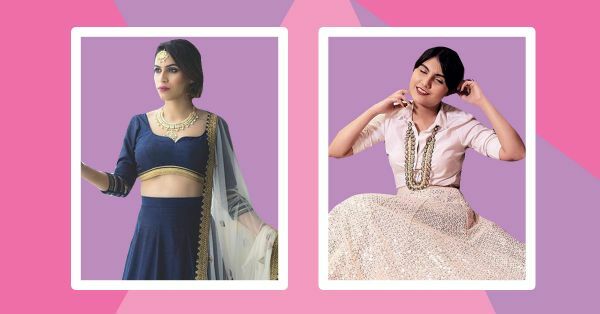 If that’s a nod accompanied with a BIG smile, here are 7 makeup looks with indian outfits from bloggers you certainly must check out ASAP. We’re mesmerized by Plixxo blogger, Cherry Jain’s, subtle makeup and elegant Indian outfit. We think she’s got a brilliant sense of style and her makeup is on point! She’s kept her look simple and her statement neckpiece is aesthetically pleasing and one-of-a-kind. You go, girl! Pink, soft lips and bold eye makeup, makes Plixxo blogger, Shivali Chauhan look like an absolute stunner! In hues of red and gold we think she’s done a fab job at adding that perfect touch of glam to her Indian attire. There’s something attractive about wearing a deep wine lipstick. After all, it’s the kind of makeup product that can woo without you having to even utter a word! And, Plixxo Blogger, Monalisha Mahapatra, knows that for a fact too! If you take a closer look at her makeup, she’s worn a smokey red shade of lipstick and done her eyes to shimmery perfection. Yep, she gives us beauty goals. 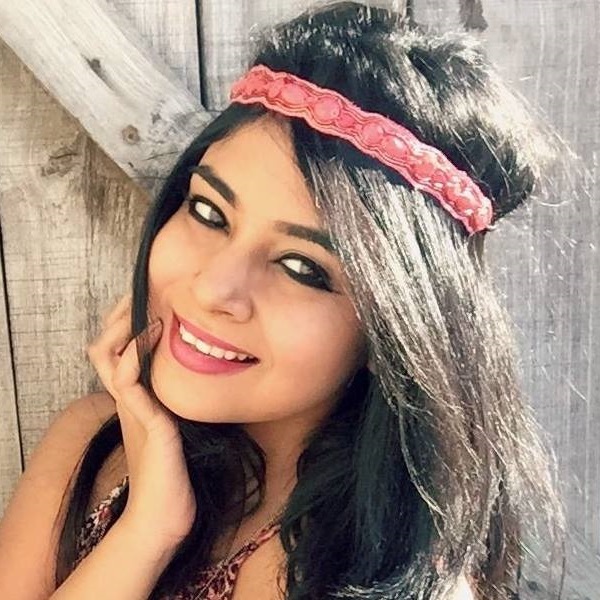 Sometimes, less is more and Plixxo Blogger, Shivangi Lahoty’s minimal makeup look is the perfect example! We’re lovin’ her sheer lip gloss and thick, dramatic winged eyeliner. We think it balances her outfit well and looks quite graceful on her. We think unicorn makeup is the inspiration behind, Plixxo Blogger, Pooja Raina’s look. It’s so stunning because it’s colourful, shimmery and super pretty! It’s the kind of makeup that will work perfectly well when teamed with light pastel shaded outfits and dainty accessories. 6. Dreamy vibes for the win! We give our Plixxo Blogger, Siddhi Mehta, brownie points for matching her makeup with her outfit! We’re fond of her lemon yellow eyeshadow and the mauve lipstick adds character to her lovely embellished lehenga. Don’t you think she looks like a princess? Yep, we think so too! All eyes on our Plixxo blogger, Kanika Khatri, because she looks like royalty! This shot beautifully captures her graceful pose and goddess-like makeup. From her beautifully-structured lips to her almond-shaped eyes, her makeup is done up to perfection!